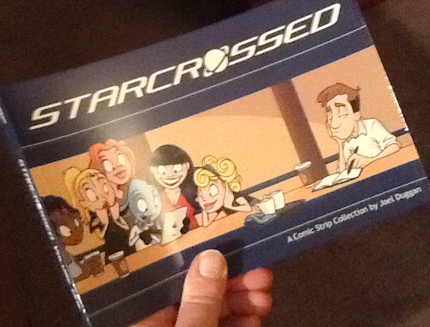 I got some mail a few days ago: Joel Duggan’s collection of his comic strip Starcrossed! Inside, Joel sketched a pic of Ellie and Sam. And did I mention that I wrote the forward? That was quite an honor to be asked to do that. 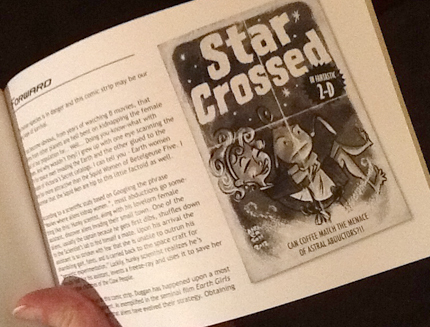 You can still get your very own copy. 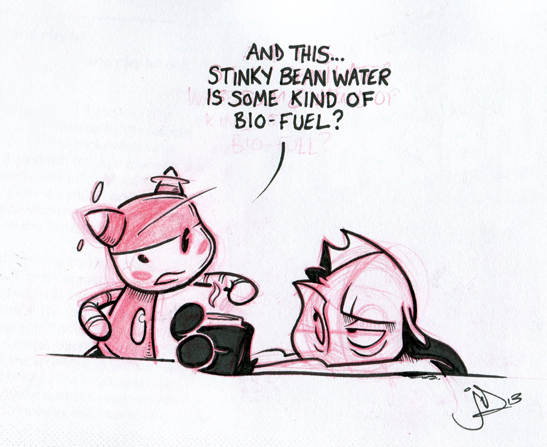 And you can continue to follow Sam and his human pal Charlie as they continue their adventures in dating.